After Sartell City Council member Ryan Fitzthum learned late in the evening of Nov. 6 that he will soon be called officially Sartell Mayor Ryan Fitzthum, he didn’t celebrate; he couldn’t. He had to be up at 9 a.m. the next day to fly to Las Vegas for a business convention about heavy machinery. The week following his win over contender council member David Peterson was a very busy week, he told the Sartell Newsleader in a Nov. 12 interview. “But it was a very good week,” he quickly added. Back home from Vegas Nov. 9, he felt inclined to go hunting, as he has always done in early November. But he quickly changed his mind, thinking it best to spend quality time with his wife, Cindy, and their three young daughters – Carly, Rory and Elly. One night Ryan and Cindy went out for a quiet celebration – a dinner and a couple drinks at a local restaurant. After dinner, they rolled up their sleeves and drove around Sartell in the rain and the sleet, picking up dozens of “Vote Fitzthum for Mayor” signs. Fitzthum chuckled fondly when telling about his oldest daughter, Carly, a kindergartner. She and classmates learned in school some basics about elections with two “candidates” – a bunny and a turtle and their qualifications for office. Voters gave 3,886 votes for Fitzthum, which is 53 percent of the total votes cast. Peterson garnered 3,402 votes. There were 20 write-in votes. Registered voters totaled 10,498 voters as of 7 a.m. on the day of the election. At the Monday, Jan. 14 city-council meeting, current Mayor Sarah Jane Nicoll will pass the gavel to Fitzthum. Two others will also be sworn into office that evening – newly elected council members Tim Elness and Jeff Kolb. One of the first orders of business is for the council to decide how to fill Fitzthum’s former council seat – by appointment or via special election. There are still two years to go on that four-year council position. But the first couple of meetings and workshops Fitzthum would like to be “getting to know you” time and a time to “take a breath” before heavy-duty work on hot topics begins. Fitzthum said there will be some “getting acquainted” workshops scheduled at which the new members can learn the backgrounds and current status of city issues from city staff. As mayor, Fitzthum said he is going to emphasize strongly that residents should always feel free to share their concerns and ideas with the council and city staff. That kind of input, he said, is vital for decision-making. Fitzthum said he was pleased St. Joseph Mayor Rick Schultz and Sauk Rapids City Council member Kurt Hunstiger called him to offer their congratulations and support. Cooperation among cities is one of Fitzthum’s high priorities. One example, he added, is a possible option for Sartell and Sauk Rapids to order new fire trucks and get a deal, saving money, if they buy them from the same company. Fitzthum said he would like to see the city of Sartell pursue more such options with surrounding cities for cooperative endeavors, networking and other forms of mutual support. 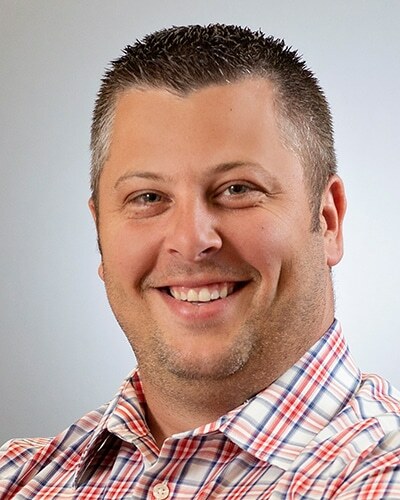 Fitzthum, 33, is branch manager at CH Robinson, a national third-party logistics company with a large office in Sartell. He is also a captain on the Sartell Fire Department. Among his other memberships and civic commitments, past or present, are board member of Metro Transit (bus), member of the Sartell-St. Stephen Education Foundation, the United Way, the Sartell-Le Sauk Township Joint Planning Commission, Mississippi River Partners Commission and the Sartell- St. Stephen school district Facilities Committee. Peterson, 47, has served on the city council for 12 years and has been a member of the Minnesota National Army Guard for 19 years for which he works as an attorney, having served two tours of duty in Iraq and Afghanistan. He has also been both a prosecutor and a private-practice attorney. He is currently an employee of the VA Health Care System in St. Cloud, working with its human-resources department.